Char Broil vs Weber Gas Grills - Which is Better You Should Choose ? →Char Broil vs Weber Gas Grill – Which is Better ? Some people look for extended comparison​ of Char Broil vs Nexgrill vs Weber vs Broil King, but actually, just reading the comparison between Char Broil and Weber is providing you enough information to make choice. Because they are 2 biggest brands when it comes to grilling products. Char Broil vs Weber Gas Grills - Which is better? Still haven’t figured out which stands out and which do not? Take a look at our comparison chart below for further details. *We have compared a particular Char Broil and Weber gas grill in this comparison chart. The Char Broil Classic 4-burner provides plenty of cooking space which can accommodate a family of 5 or more or a number of guests. The swing away warm rack also makes it more versatile in grilling and warming up a variety of dishes. 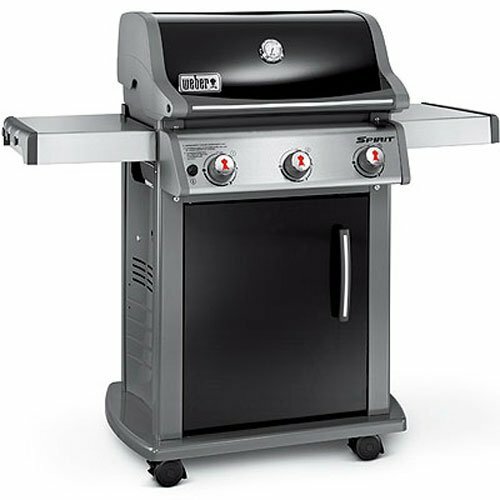 The Weber 47510001 Spirit E310 is a 3-burner gas grill made of stainless steel that makes it durable. The stainless steel side tables also serve as a counter for the grilled dishes. It heats up quickly and delivers evenly distributed heat. Takes a little time to heat up. Nevertheless, the heat is also evenly distributed. The grates are made of porcelain coating which make it rust-resistant and easy to clean. The grates are made of stainless steel, porcelain enamel coating and porcelain enamel cast iron. 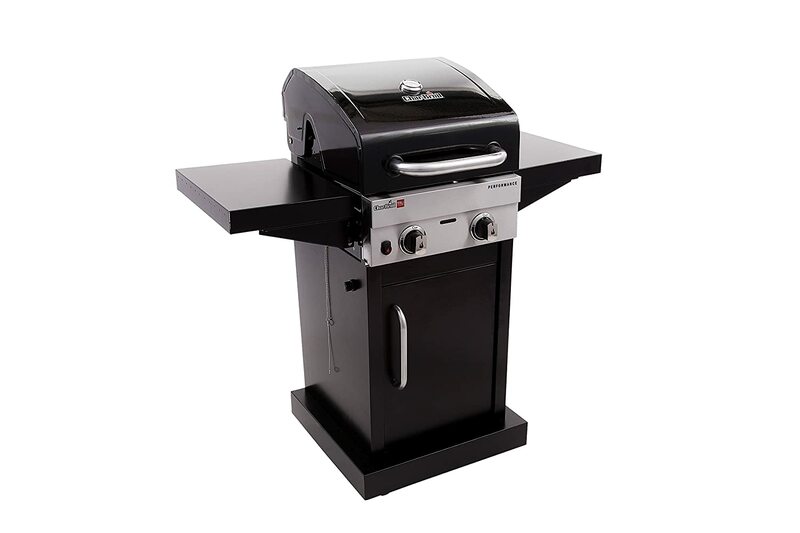 Features a grease management that catches all the grease to prevent the grill from rusting. However, it is a little bit difficult to clean. The burners deliver controlled and even heat which prevents the food from being burnt. Equipped with Weber’s original bar system, Flavorizer bars, which protect the burner tubes, add flavor to the food and avoid flare ups. The function of Charbroil vs Weber gas grills are most likely the same. The ignition system both start with just a push of a button. The distinct difference is probably which heats up quickly and which doesn’t. Char Broil does heat up very fast while the Weber takes a little more time. 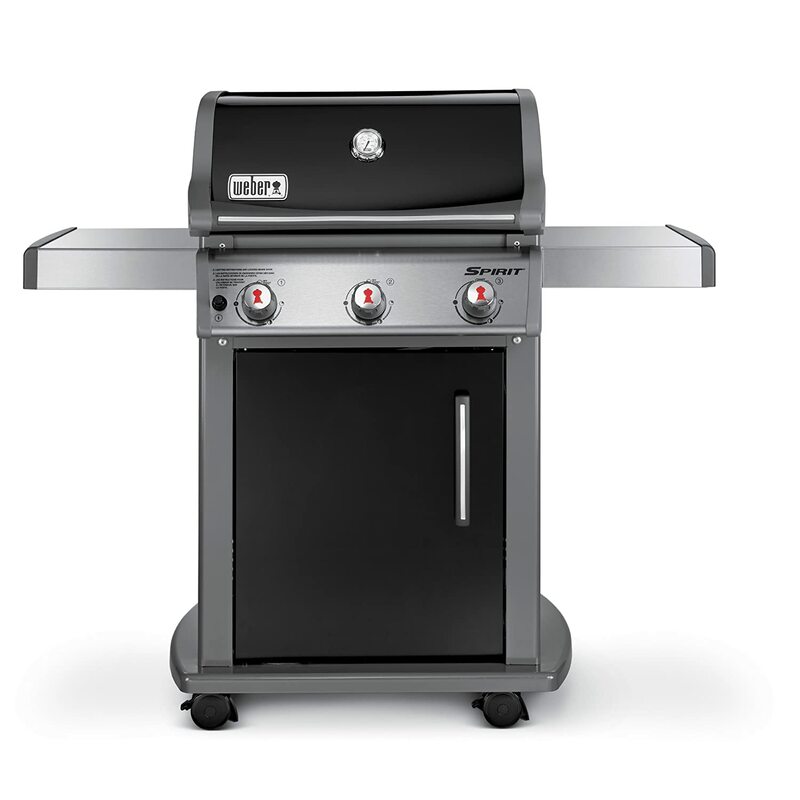 Although not all models function the same, it may only reflect on particular models such as the ones mentioned in the chart, the Char Broil classic 4-burner and the Weber 47510001 3-burner gas grill. Most of the Char Broil gas grills feature side tables that serve as a counter to place your food on when you’re done grilling. The side tables on Weber gas grills also function pretty much the same as the Char Broil’s. Comparing the features, Char Broil and Weber have their own assets. One acquires such features which the other doesn’t have. But to let you know more about the differences in their respective features, here are some details. Certain models can have 2-4 burners. It features 2 side tables for an extended cooking space. Most models are designed with wheels for enhanced mobility. It is built to last. It is made of stainless steel. It has a stainless steel lid to cover the grill. Certain models have an additional rack for grilling and warming up food. The ignition starts in one push. It can have a maximum of 4 burners. Designed with a bar system known as the Flavorizer bars which is originally created by Weber. It is built to last. It uses high-quality materials such as stainless steel, porcelain enamel cast iron and porcelain enamel. Most models are designed with wheels for easy transport. Has a lid to cover the lid when you’re done grilling. Because Char Broil and Weber have their own impressive features, each of these can be beneficial in many ways. Every feature is created to give more convenience and to make the grilling experience much more enjoyable. What are the benefits of using a Char Broil or Weber gas grills, then? Since it provides wider cooking area space, grilling is quick and easy. You can grill more dishes and serve many guests in no time. Made of excellent materials and with proper storage and cleaning, it can last for a long period of time. 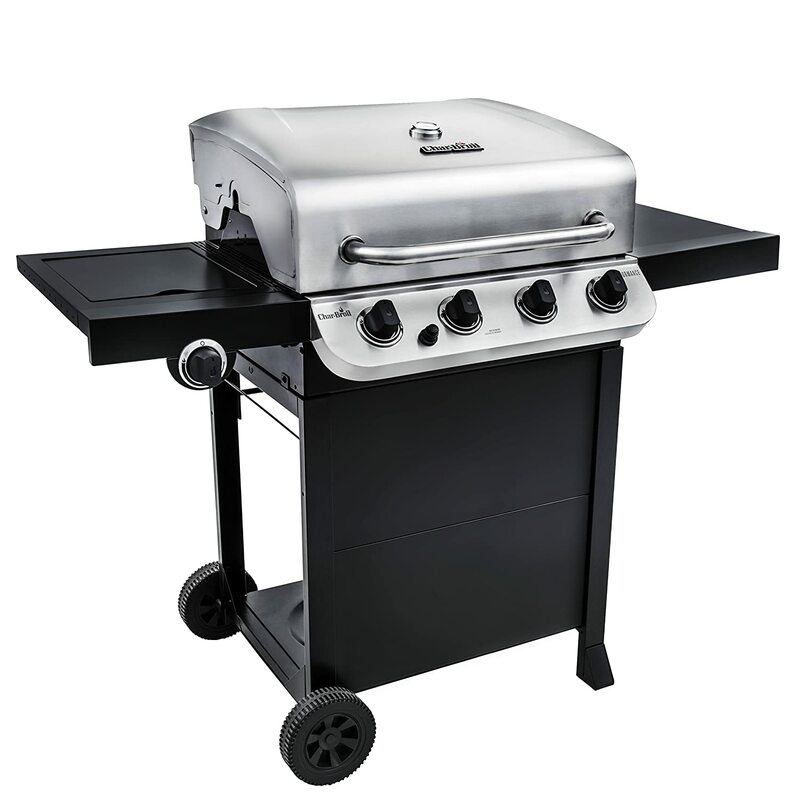 The wheels allow you to move the gas grill from one place to another very easily. The porcelain-coated grates have the ability to retain the juice and the flavor of the food. And together with the even heat being distributed, it prevents the food from getting burnt but delivers a deliciously grilled dish. Some models are engineered with infrared burners which provide intense and direct heat. This is best for cooking steaks. The patented Flavorizer bars keep the food flavorful with less grease. At the same time, the Flavorizer bar system gives protection to the burner tubes and prevents the grill from flare-ups. It ensures safe and enjoyable grilling! It also has wheels that you can use to transport the gas grill anywhere in your backyard. Porcelain enamel, stainless steel and porcelain enamel cast iron are the primary materials used for the grills. These materials make the construction much more durable and reliable for long hours of grilling. Most models are also designed with side tables that provide wider space for cooking your favorite dishes. The grease management also keeps the quality of the grill at its finest. A grease tray catches the grease to prevent it from getting into the parts of the grill. It maintains the quality and keeps it from deteriorating and rusting over time. 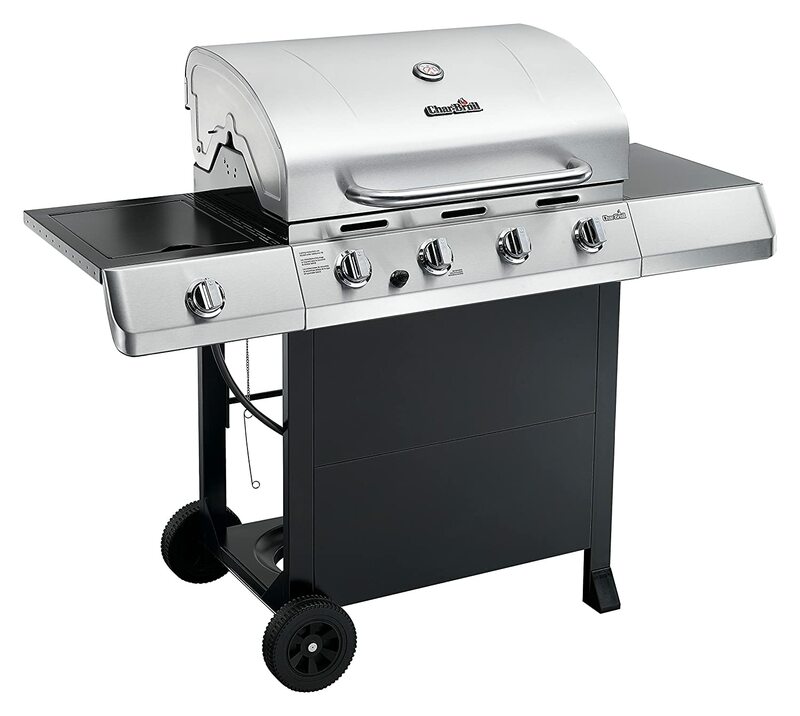 Char Broil and Weber are one of the finest outdoor gas grills you can get for your home. But despite their top-notch performance, there have been some downsides and issues that you should take note of. To assist you further in choosing the best gas grill available on the market, we’ve gathered the top Char Broil and Weber gas grills in one list. Check them out! Have you picked out the grill of your choice between Char Broil vs Weber ? Both of these outdoor gas grill can handle all the grilling work you need. Each has its own concepts that make it more convenient to use. Char Broil and Weber both provide optimal heat for grilling dishes. Char Broil heats up quickly and thus lets you do the grilling in no time. Weber, on the other hand, is commendable with its heating system but if you don’t mind waiting a bit more to heat up, you can go with it. Some Char Broil models are engineered with infrared burners. These are not like the conventional burners and are preferably used for cooking and searing sumptuous steak dishes. Either of these outdoor gas grills can be a great partner for a Sunday barbecue or an outdoor lunch with family and friends.